This page contains various resources and tools for research, writing, statistics, and overall thriving to live your full academic life. There are a number of time tracking devices out there. I use Toggl because it is simple and clearly tracks my different projects across all of my devices. Whichever you choose, please choose one and stick with it. Not only does this help you stay on task, tracking your time helps you to better estimate how long projects or tasks will take in the future. This book was recommended to me by so many people and when I FINALLY read it it changed my writing practice dramatically. In fact, I would say I didn't even really have a writing practice before I read this book. 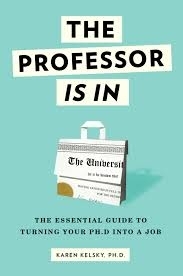 Dr. Kelsky, a "recovering academic" is probably best known for her blog, The Professor is In (see below) but this book gives even more detail and samples about how to get a job in academia and be productive so that you can keep it.